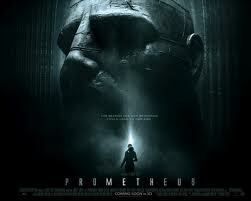 We just saw Ridley Scott’s new movie, Prometheus, today. It was really good but left me with a bunch of unanswered questions. After a short Internet search I found the following article which has a very interesting theory regarding religious imagery/concepts and the movie. Prometheus Unbound: What The Movie Was Actually About. SPOILER ALERT: Don’t read the article if you haven’t seen the movie yet! This is totally cool! Someone has re-cut the original Ghostbusters movie trailer using the theme music from the movie, Inception. It really changes the feel of what the movie is going to be about – just goes to show you how much influence music and sound have on our perceptions – check it out for yourself. Awesome! BD Horror News – An Explosive True Crime Connection in ANOTHER ‘Amityville’ Film? BD Horror News – An Explosive True Crime Connection in ANOTHER ‘Amityville’ Film?. The new Sherlock Holmes movie, Sherlock Holmes: A Game of Shadows, starring Robert Downey Jr., will be released this December. I really loved the first Sherlock Holmes movie and am looking forward to seeing this new one. Robert Downey Jr. was excellent as Holmes and was my second favorite depiction of the genius detective. My absolute favorite was George C. Scott who played “Holmes” in the hysterical and poignant film, They Might Be Giants. Enjoy the trailer! Soon to be released in October 2011, The Thing is a prequel to John Carpenter’s The Thing and tells the story of what took place in the Norwegian camp prior to the events in John Carpenter’s film (which was, itself, a remake of a 1951 film: The Thing from Another World. Looks pretty good and I, for one, am looking forward to seeing it.